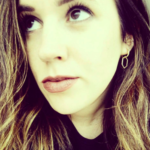 Jaclyn Michelle is a Human Design Chart Analyst, teacher & blogger. She deeply believes that it is vital that every woman has the resources, the time and the energy to hold space in her life for her own emotional/spiritual expansion and care, and has made it her mission to make tools like Human Design practical, actionable & accessible for everyone. A recovering workaholic, she left corporate America to launch interiorcreature.com, a community of fearless females dedicated to #soulcare and hungry to reconnect with their higher selves and their own interior creature on the path to manifesting the happiness that is their birthright. An aspiring dog mama, she loves herbal tea, hiking, red wine, and giant books.